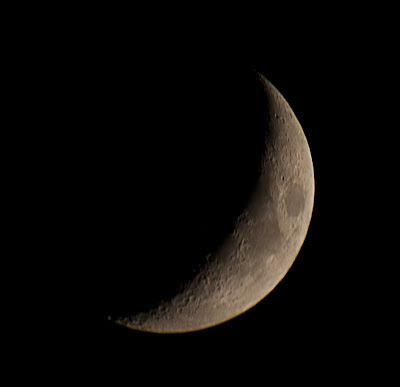 I made another moon attempt at prime focus last week and the results are frustrating. 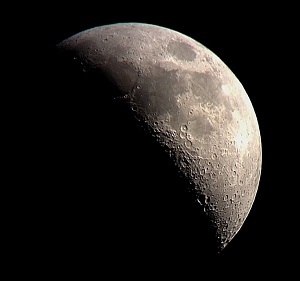 I just can't seem to get the entire disk in focus at the same time, and although the moon is much higher resolution at prime focus, my best clarity still came from digiscoping with my iPhone through the eyepiece. 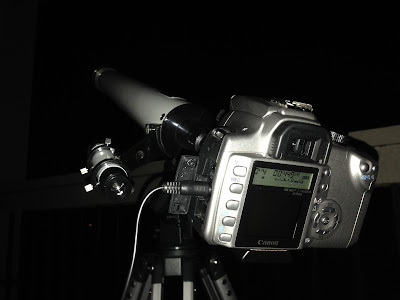 So I either need a camera with live view so I can focus on a larger display (or a laptop) rather than through the tiny viewfinder, or an iPhone mount / adapter for the eyepiece. Or maybe video is just the way to go, and stacking 20 frames won't cut it at higher resolutions. Since my DSLR doesn't do video, this is still a problem.